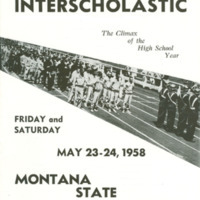 Meet program for 1962 May 25 and 26. 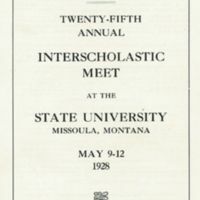 Meet program for 1942 May 14, 15 and 16. 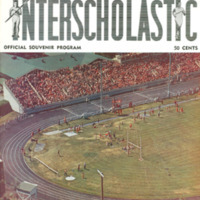 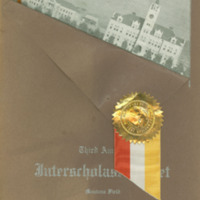 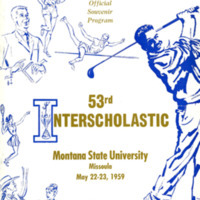 Eleventh Annual Interscholastic Meet Program, cover, pages 5 and 7. 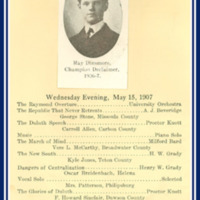 Meet program for 1914 May 12, 13, 14, 15 and 16. 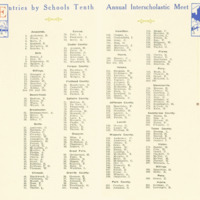 Tenth Annual Interscholastic Meet Program, page 14 and page 15. 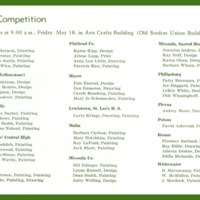 Meet program listing contestants, meet dates for 1913 May 6, 7, 8, 9 and 10. 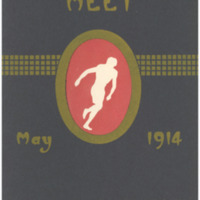 Cover of the meet program for May 9, 10, 11, 12 and 13. 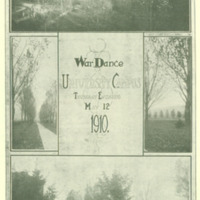 Meet program advertising War Dance on May 12, 1910. 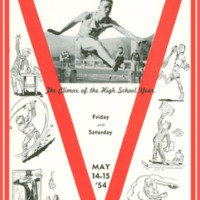 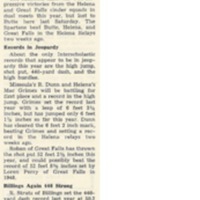 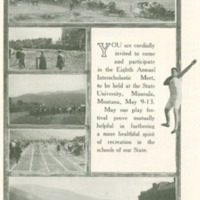 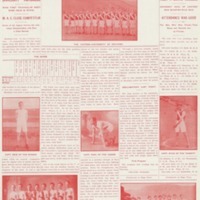 Meet program including a historical sketch of the meet and scorecard, May 11, 12, 13, and 14. 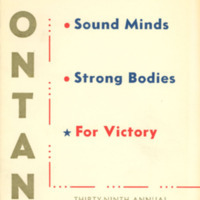 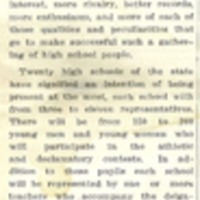 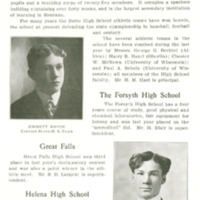 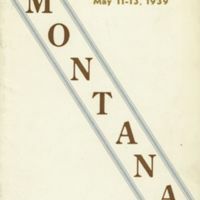 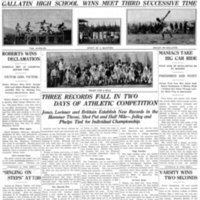 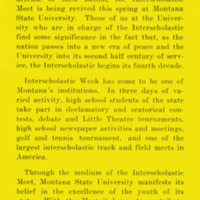 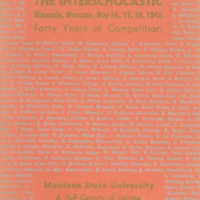 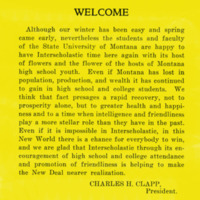 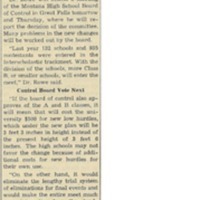 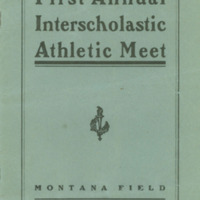 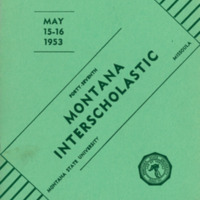 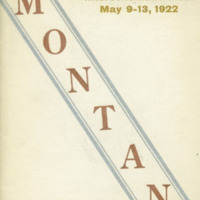 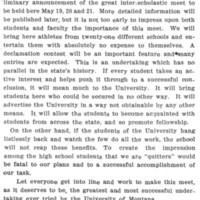 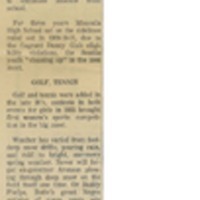 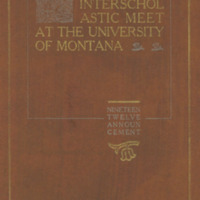 Souvenir Program Interscholastic Meet, Montana Field, page 4, 5, 20 and 21. 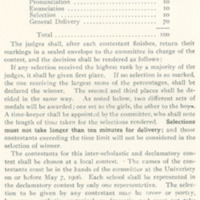 Information about the declamatory completion and the one mile run at meet May 15, 16 and 17. 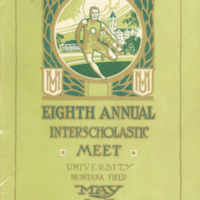 Cover of the meet program for May 16, 17 and 18. 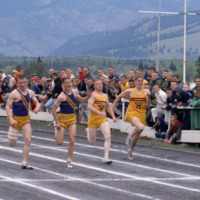 Information about the high schools competing at meet May 16, 17 and 18. 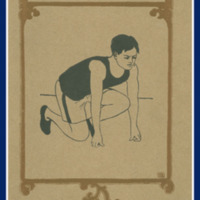 Cover of the meet program for May 19 and 20. 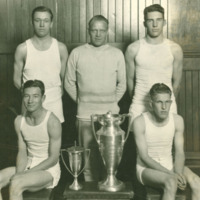 Photograph of Polson team with coaches. 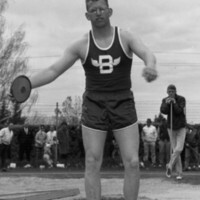 Photograph of discus thrower from the Butte team. 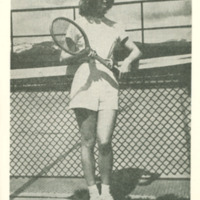 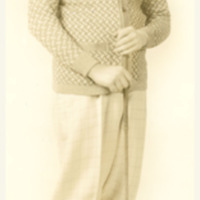 Portrait of Regan taken for the Sentinel. 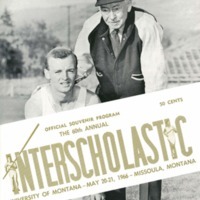 Seated left to right; Harry Evans and Robert White. 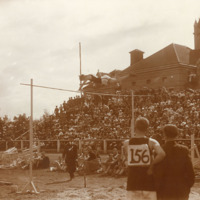 Standing left to right; Charles Prelsnik, Harry Dahlberg and Frank Ball. 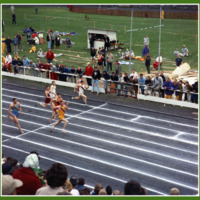 Student vaults on the track in front of the old Gymnasium now razed. 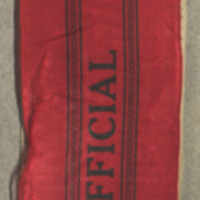 Ribbon for judging official at meet. 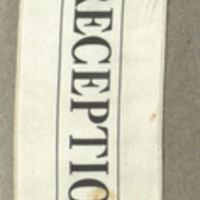 Ribbon for guest at country club. 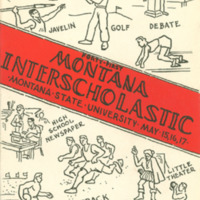 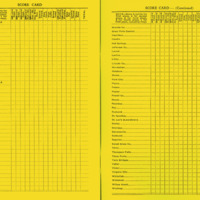 Filled in dance card for annual Interscholastic Dance held during meet on The University of Montana-Missoula campus. 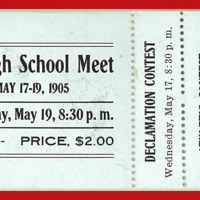 Ticket for twelfth annual meet. 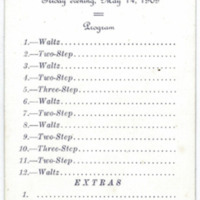 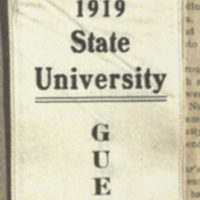 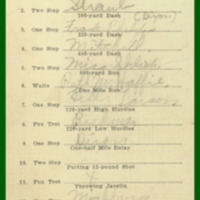 Front and back of dance card. 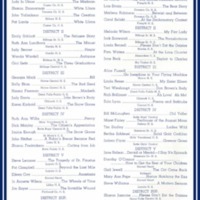 Back list patrons and patronesses. 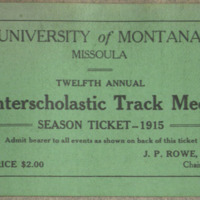 Tickets to 1906 meet. 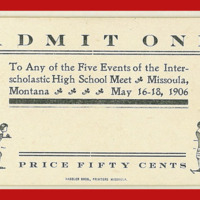 Various types of tickets to different events. 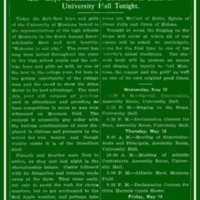 Season ticket to meet athletic and declamation contests.